Nigerians, get ready for a Solar Eclipse on Sunday November 3, 2013! This Sunday, November 3 2013, there will be a solar eclipse, a rare one called Hybrid Solar Eclipse. 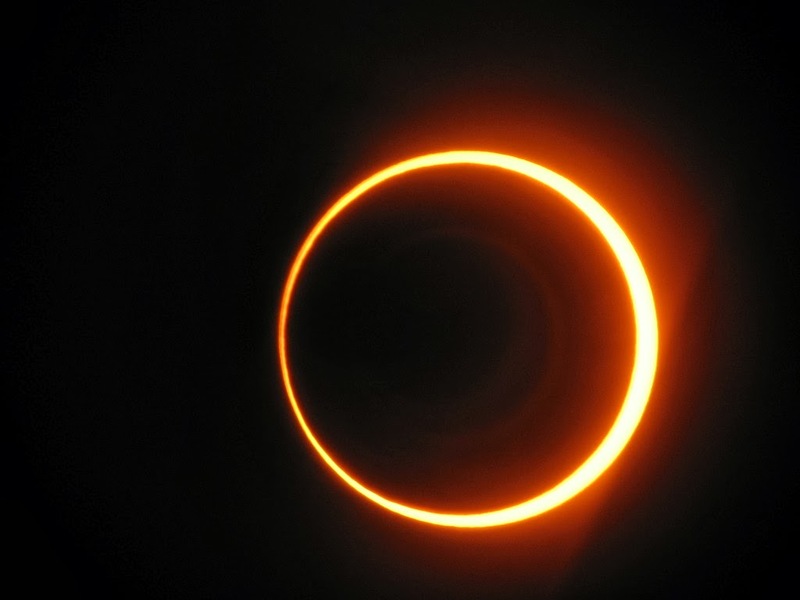 A total solar eclipse will occur on November 3, 2013. It is a hybrid eclipse of the Sun with a magnitude of 1.0159. Totality will be visible from the northern Atlantic Ocean (east of Florida) to Africa (Gabon (landfall), R. Congo, DR Congo, Uganda), with maximum of 1 minute and 39 seconds visible from the Atlantic Ocean south of Ivory Coast and Ghana. A partial eclipse occurs when the Sun and Moon are not exactly in line and the Moon only partially obscures the Sun. This phenomenon can usually be seen from a large part of Earth outside of the track of an annular or total eclipse. However, some eclipses can only be seen as a partial eclipse, because the umbra passes above the Earth's polar regions and never intersects Earth's surface. Taking an informed guess, it seems Nigerians will be able to see a total eclipse, perhaps for some seconds. Anyway go get a No. 14 Welders' Goggle. It's gonna happen around noon, so I read.